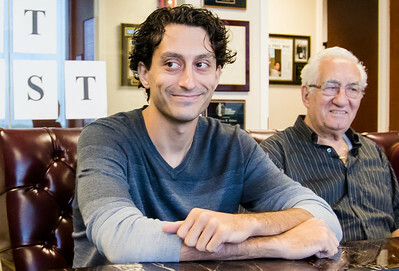 Sarah Nader- snader@shawmedia.com Mario Casciaro (left) with his father, Jerry, speak with Northwest Herald reporter Hannah Prokop at his attorney's office in Downers Grove Thursday, September 24, 2015. Casciaro was released from Menard Correctional Center on Wednesday after Illinois' 2nd District Appellate Court overturned his conviction this month, saying prosecutors failed to prove Casciaro's guilt beyond a reasonable doubt. 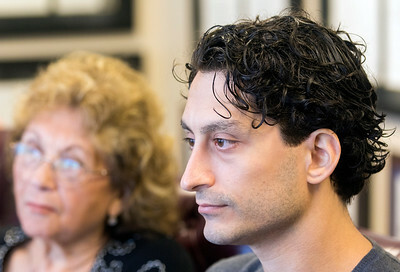 Sarah Nader- snader@shawmedia.com Mario Casciaro speaks with Northwest Herald reporter Hannah Prokop at his attorney's office in Downers Grove Thursday, September 24, 2015. Casciaro was released from Menard Correctional Center on Wednesday after Illinois' 2nd District Appellate Court overturned his conviction this month, saying prosecutors failed to prove Casciaro's guilt beyond a reasonable doubt. 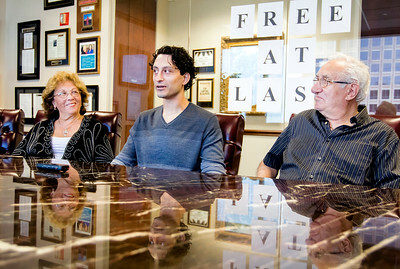 Sarah Nader- snader@shawmedia.com Mario Casciaro (center) is surrounded by his mother, Maria, and father, Jerry, while he speaks with Northwest Herald reporter Hannah Prokop at his attorney's office in Downers Grove Thursday, September 24, 2015. Casciaro was released from Menard Correctional Center on Wednesday after Illinois' 2nd District Appellate Court overturned his conviction this month, saying prosecutors failed to prove Casciaro's guilt beyond a reasonable doubt. Mario Casciaro speaks with Northwest Herald reporter Hannah Prokop at his attorney's office in Downers Grove Thursday, September 24, 2015. 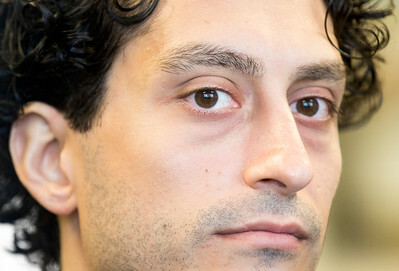 Casciaro was released from Menard Correctional Center on Wednesday after Illinois' 2nd District Appellate Court overturned his conviction this month, saying prosecutors failed to prove Casciaro's guilt beyond a reasonable doubt.